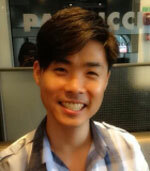 Jinho Choi has won the Yahoo Labs ACE Award. Choi is an assistant professor in the Department of Mathematics and Computer Science and an assistant professor in Emory's Institute of Quantitative Theory and Methods. Choi's research focuses on the optimization of natural language processing (NLP) for "robustness" on various data and "scalability" on large data with the goal of developing natural language processing components for higher-end research. His research also focuses on NLP applications such as question answering, information extraction, dialog management and constructing meaning representation from texts. Yahoo selects five first- and second-year faculty members conducting Yahoo-relevant academic research at leading research universities around the world for the award. The award includes an unrestricted monetary gift to be used by the recipients to help their research. Clifton Crais's book has been selected by Library Journal as a Best Book of 2014. Crais is professor of history and director of African studies. His book, "History Lessons: A Memoir of Madness, Memory, and the Brain," published by Overlook, was chosen in the genre of memoir. Library Journal's reviewers and columnists select the top 10 in the case of genre fiction and nonfiction. Walter Melion has been awarded the Chaire Francqui by the Fondation Francqui - Catholic University, Louvain-la-Neuve, Belgium. 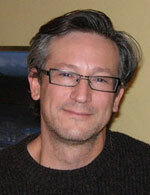 Melion is Asa Griggs Candler Professor of Art History. Although this honor typically takes the form of a six-month visiting appointment, the Fondation Francqui is allowing him to make two one-week visits in December and March to give a series of public lectures as Melion also currently has an NEH-Mellon Fellowship at The Newberry Library. Melion received the fellowship for 2014-2015 at the Newberry Library, Chicago, for his project, "'Imago veridica': The Visual Form, Function, and Argument of Joannes David, S.J. 's Four Latin Emblem Books."